Legislation sponsored by Senator Steve Oroho (R-Sussex, Warren, Morris) to ensure the ability of electric utility companies to trim branches and trees around power lines to prevent unnecessary outages has passed the Senate Economic Growth Committee. Oroho said that following repeated lengthy power outages this past winter as well as several other recent storms, it’s imperative to eliminate bureaucratic red tape that might prevent utilities from conducting preventative vegetation maintenance that can decrease the frequency and length of power outages. Oroho’s bipartisan legislation, S-2505, jointly sponsored by Senator Paul Sarlo (D-36) authorizes an electric public utility to use all available methods to maintain and remove hazardous vegetation. It also establishes a municipal program to develop effective strategies to implement the provisions of this bill. Further, it clarifies that neither the Community Forestry Council nor any county or municipal shade tree commission may interfere with or restrict an electric public utility’s removal, replacement, or maintenance of dangerous vegetation. 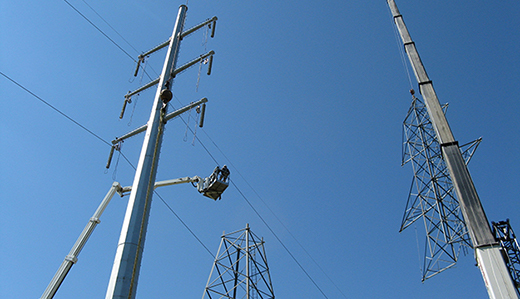 It does not allow utilities to clear-cut vegetation that does not interfere with power lines. This legislation comes in the wake of a brutal winter storm season that left tens of thousands of New Jersey residents without heat, hot water, and refrigeration for days at a time. 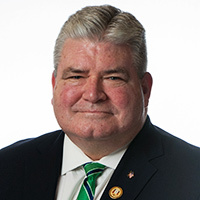 The identical Assembly legislation, A-2558, is sponsored by Assemblyman Wayne DeAngelo (D-14), Assemblyman Hal Wirths (R-24), and Assemblyman Parker Space (R-24).